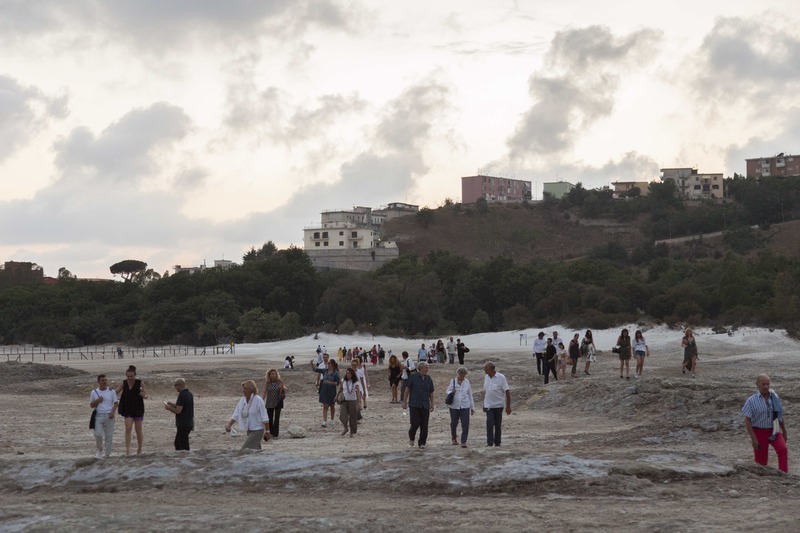 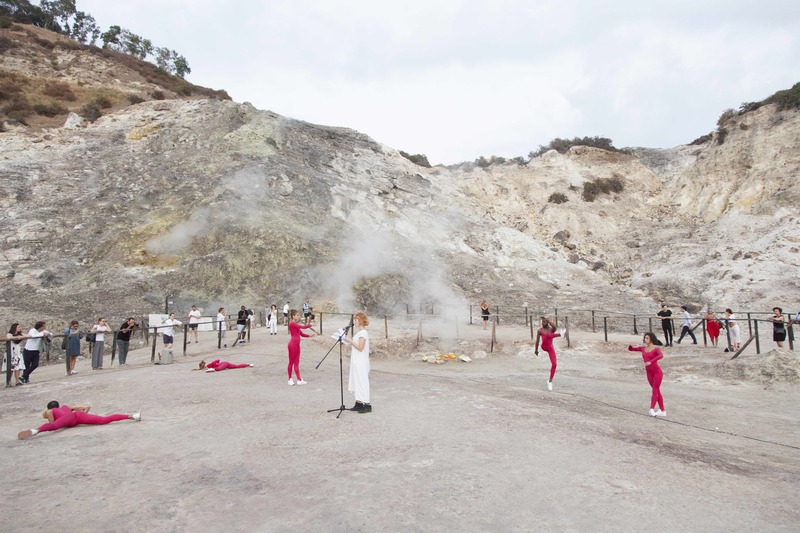 As if in a pilgrimage, or as if we just landed on the Moon, we all walked along the desert-like plane leading to Solfatara, a shallow volcanic crater in Pozzuoli, nearby Naples. 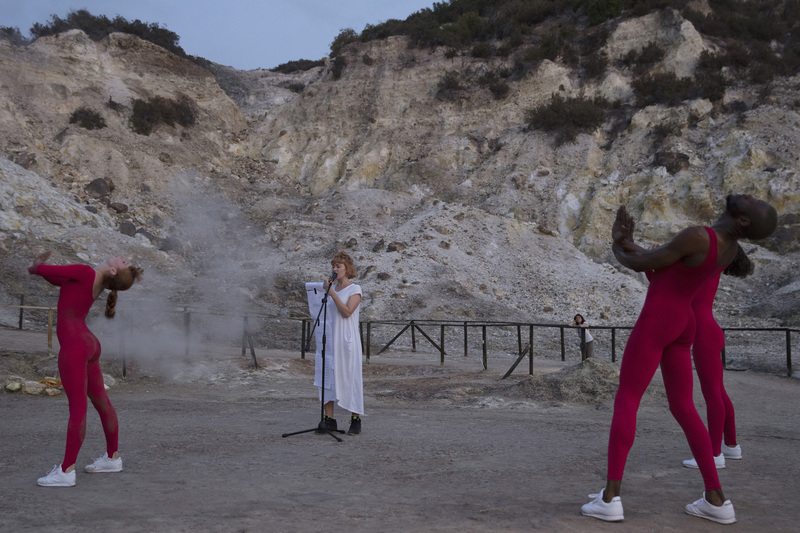 Amidst sulfurous fumes and steaming vapour, Holly Pester recited one of her poems to accompany the third variation of To Corpse. 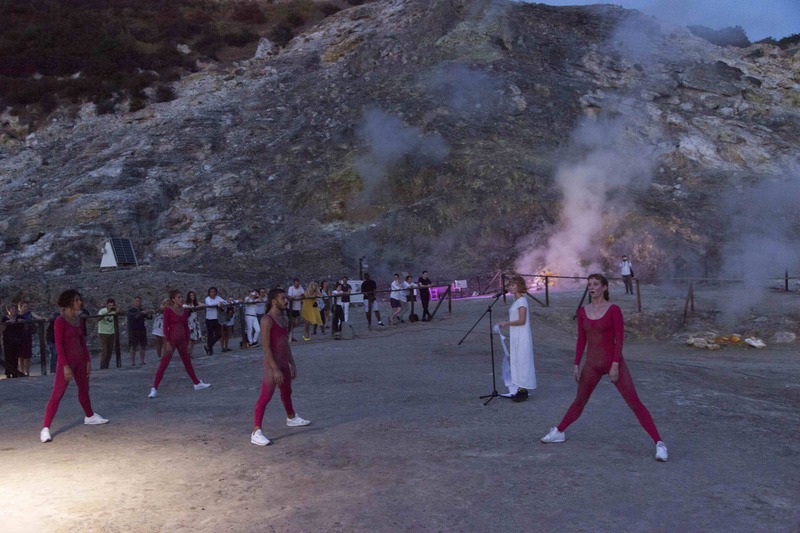 Fully dressed in red, a colour of fire, passion and rebellion, the five dancers fiercely moved and twirled around the poet, rising and releasing the tension, muscles firmly contracted, the sands from the ground melting with sweat drops on their bodies. 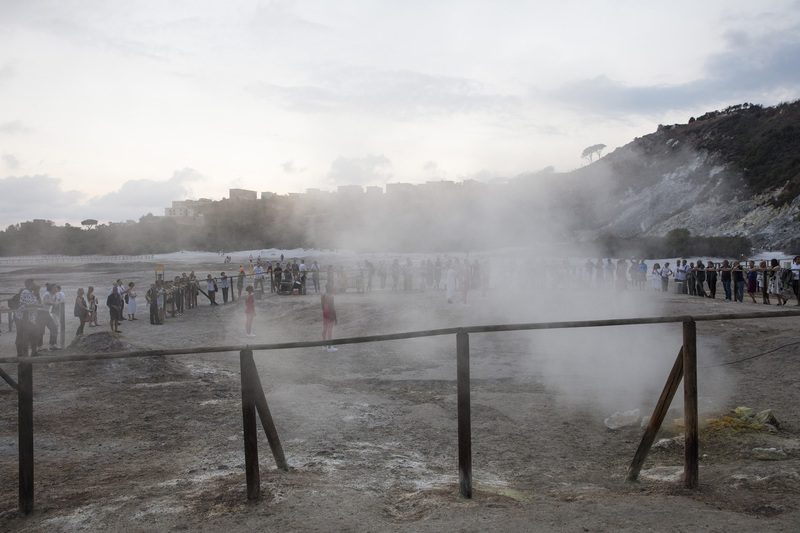 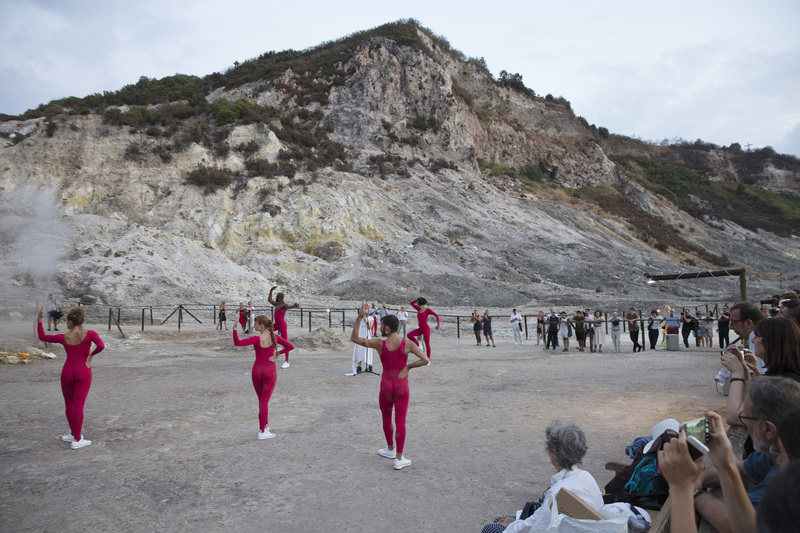 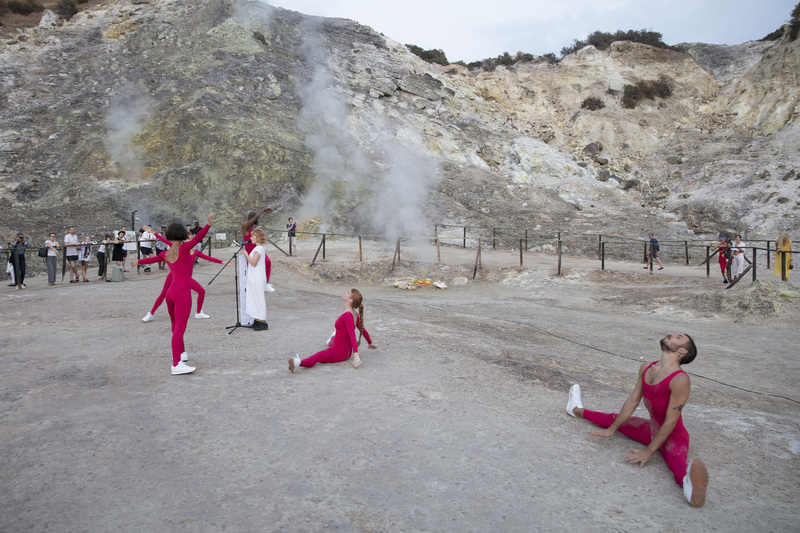 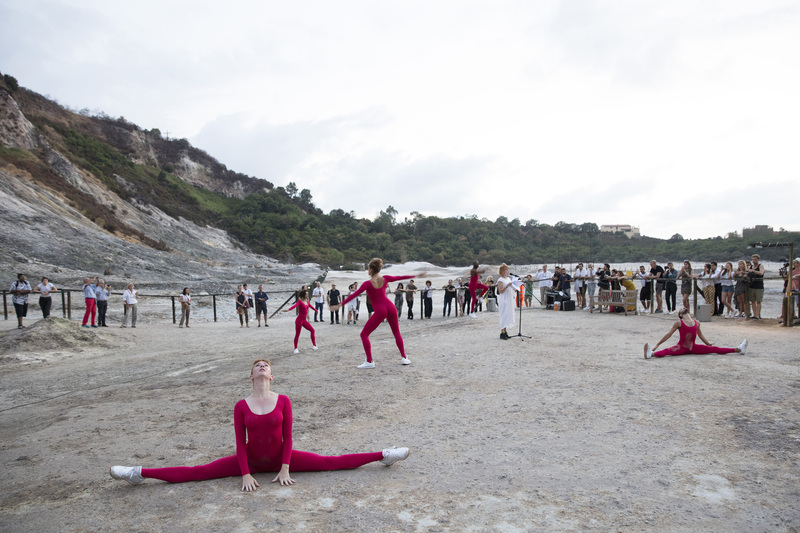 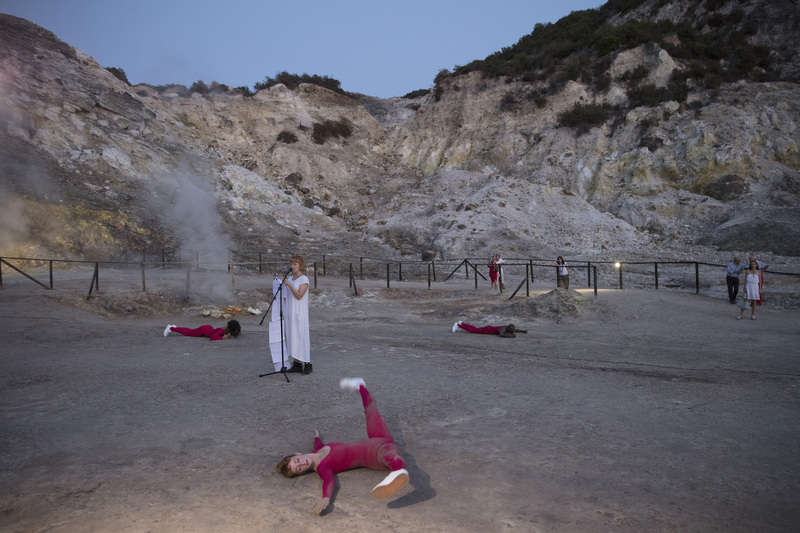 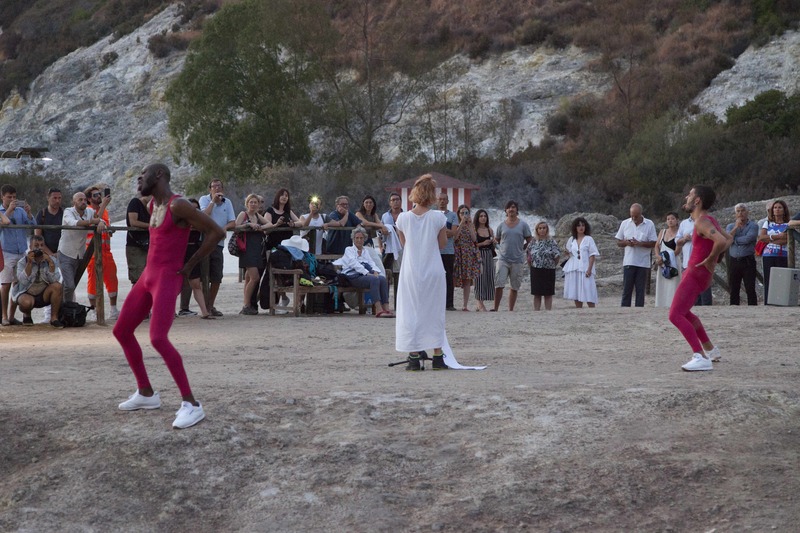 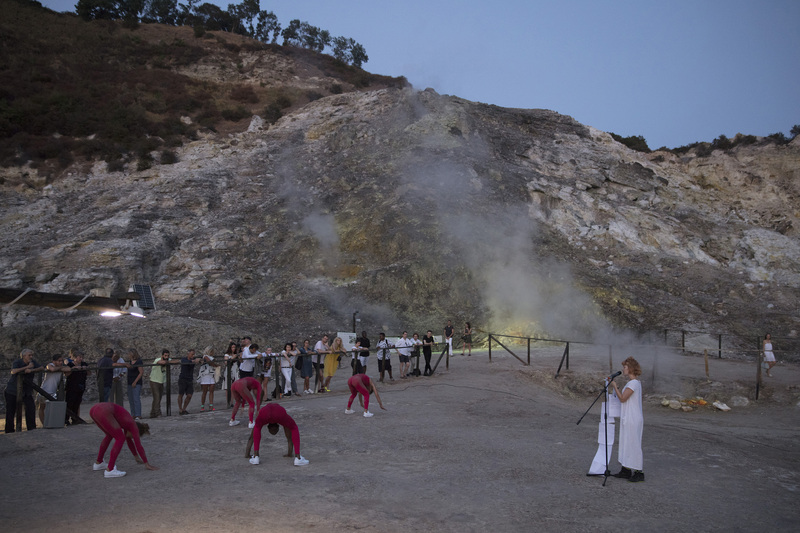 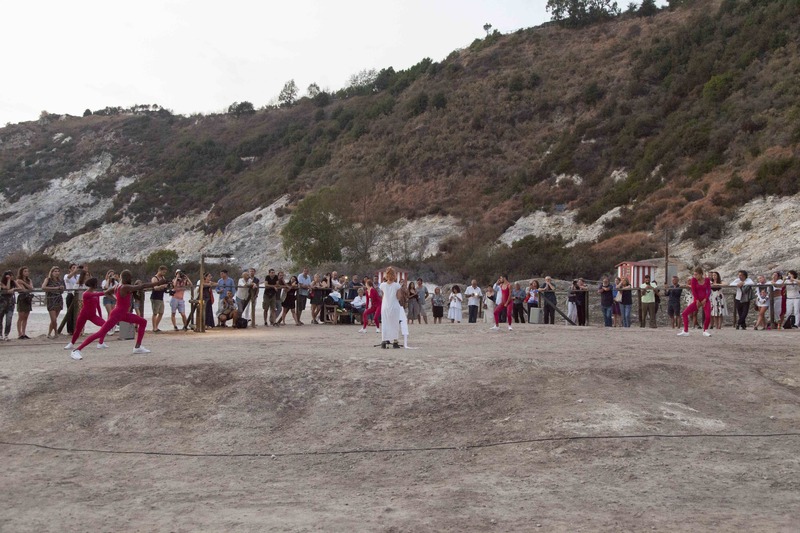 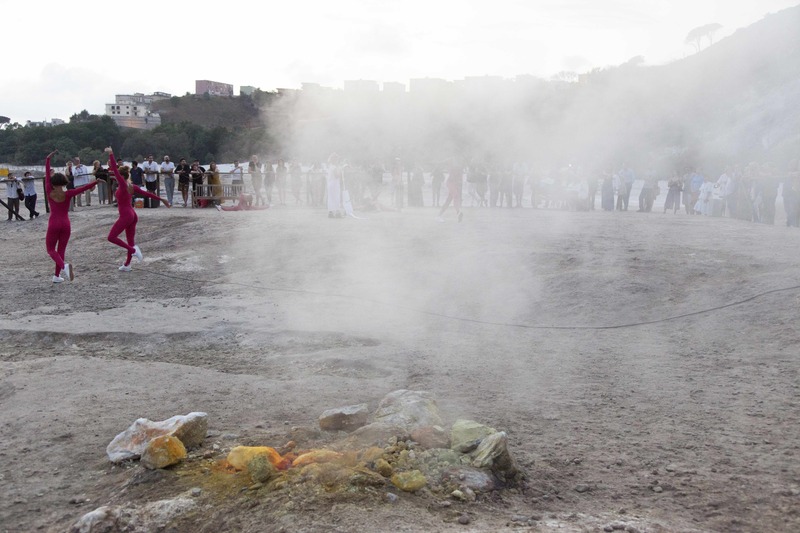 The performance ended in perfect coincidence with the fall of the last ray of sun and we welcomed the peace of dusk descending upon such an intense day, marking the beginning of our transition from the slopes of the Vesuvius to the magmatic rocks of Iddu.